As healthcare continues to change, you can count on ISI to create innovative, practical, and affordable surgical products to meet the challenges of today’s O.R. ISI has over 40 years experience and is an ISO certified manufacturer of the highest quality products. 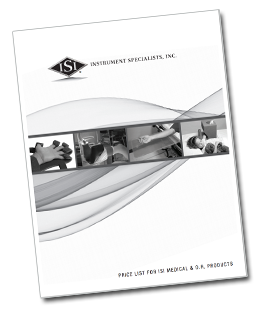 Specialty surgical tables, traction products, positioners, surgical instrument care products, and more are available through ISI. Visit our online catalog, send us an email, or give us a call at 800-537-1945. We’re here for you.